An important part of the bidding process is the step after you submit your knock-out tender, when you deliver your post-tender presentation. This is when your client’s decision makers will be even more convinced of your credibility for the job, or left with doubt about how realistic your tender promises were. What challenges do they face in their day-to-day roles? What could make those challenges more significant? What could be done to ease or eliminate them? These issues require some thought early in your preparation. Imagine yourself doing the role of your client organisation’s various key people, and think about the issues that do – or could – cause problems. What questions would you want to ask a service provider? What would be your most pressing topics? Using your experience in your field, you have a very good idea of what the work life must be like for your client’s team. Consider the following points as part of your presentation preparation. 1. What are the most essential points to make? 1a. Why? What is the purpose of the presentation in the first place? Why can the same information not be conveyed in a different way? The answer to these questions is usually that the client wants to meet the people who would deliver the services, and to test their credibility for the job at hand. That means each presenter’s job is to show how their experience is directly relevant to addressing the client’s challenges. The client’s invitation for the presentation may request a focus on a particular issue. Even if it does not, it is a good idea to use specific challenge / problem areas of the project to show how the presenters would play a part in overcoming those challenges / problems. What, specifically, will the presenters and others do to address the issues, and what, specifically, will be the benefits to the client from that approach? Choose issues not already included in your previously submitted written proposal, or build on those already submitted, but avoid merely repeating what has already been written. What steps does your client have to go through to achieve [outcome]? What makes those steps essential? What inputs are needed from other people at each step? How much of each step is completely within your client’s control? What can cause the steps not to be achieved? How does your organisation’s services feed in to the steps? How can your organisation’s services avoid failure of any step being achieved? 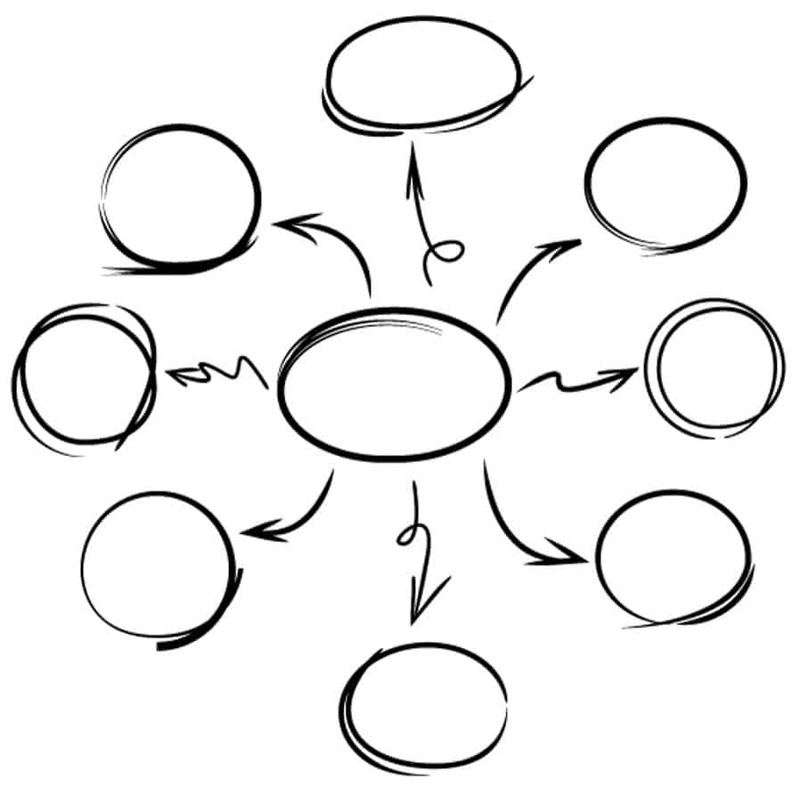 What expertise does your organisation bring that can improve the efficiency and effectiveness of the client’s process? How does each presenter’s experience fit with the ways of improving the efficiency and effectiveness of the client’s process? What evidence do you have of your presenters having done that before? This is a summarised version of the line of questioning that leads to identifying how the presenters can match their expertise with the client’s process steps. By doing that, you can identify how the presenters can add value to the process. Once you have done that, you can plan how the presenters will add value to that particular client. 1b. Stay focused: Avoid saying everything you know about a subject. Demonstrating your ability to meet a client’s requirements does not usually equate to demonstrating how much you know about a subject. Instead, it is about showing that you can address what matters most to the client. That requires a sound understanding of the client’s business – including its critical success factors – and of the audience members’ priorities. Always ask for a list of the people (and their roles) who will attend your presentation, if your client has not already told you. This will help you to go through the process step questions in 1a, which will help to focus the mind on what matters most. Other material, which will be more supporting than essential, can be included in a back-up presentation format for use during your client’s questioning. What evidence of credibility does your prospective client want to see? Work as a team to interrogate what the client wants to know by asking yourself process-type questions as in 1a, or work with a coach to facilitate such a session so that you and your team address issues that might otherwise seem obvious to you. By skipping over seemingly obvious or unimportant issues, you run the risk of missing opportunities for identifying added value that you can bring to your client’s process. In coaching, we take the view that there is no such thing as a stupid question, which means we keep teams’ minds as open as possible for as long as possible. In a recent coaching session for a presentation, we used the process-type questioning, which led us to learn that our client routinely undertakes lessons learned reviews with his client. This means the end user benefits from learning about areas for improvement in his business as a result of our client’s reviews. Our client thought nothing of this until we pointed out that he knows much more about his client than the other bidders, due to the rich detail from the reviews. The deep insights from the reviews put our client in a unique position to act as a ‘critical friend’ for future improvement and business growth, something that the competitors could not do with the same explicit and tacit knowledge and understanding. That benefit was ‘gold dust’ that was used to good effect in the post-tender presentation, which was successful. Do not overlook strengths arising from activities that you take in your stride as everyday tasks, whether or not you are the incumbent bidder. One of the blockers to presenting is not having an easily remembered structure of what to say, causing the fear of ‘fumbling for the next bit’. Build your messages around the issues most important to your client. This will help with keeping focused, rather than being tempted to show how much you know about a subject. Base all other points in your presentation on the core issue(s) that you choose as your central theme(s). Your client’s need for high quality in delivery of your services: you might choose to present something about your business management system, for example, as the core of all your processes by which you control quality. There will be other points linked to your client’s need for high quality, which will also fall under the core theme of quality in delivery. Steer clear of merely repeating what you already wrote in your submitted proposal. Use the opportunity to show how your team will address your client’s and your own challenges associated with this core theme, using specific challenges as examples. Your client’s desire to contribute to the local community: perhaps your organisation’s approach to corporate social responsibility, as the driver for achieving community benefits (e.g. apprenticeships), would make a good link to this core theme. 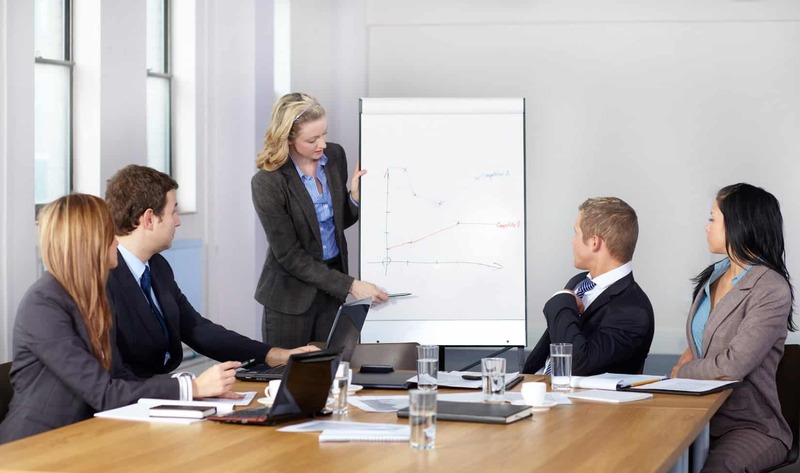 Your presentation will link your client’s critical issues to your proposal. In that way, your presentation will be all about your client and how you will address her / his challenges, and you will tell that story via the strands linked to the central themes. This will enable you to present the strengths of your proposal without deviating away from what matters to your client. This approach is better than attempting to show how much general knowledge and experience you have in the subject, which may not all be relevant to your client. What? 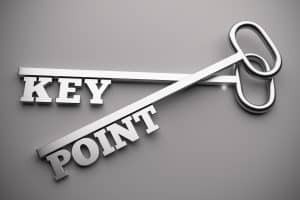 What is the point and what are its key features? What do people need to know about it? Why? Why is the point relevant and how will your audience benefit from it? Why do they need to know this stuff? How? 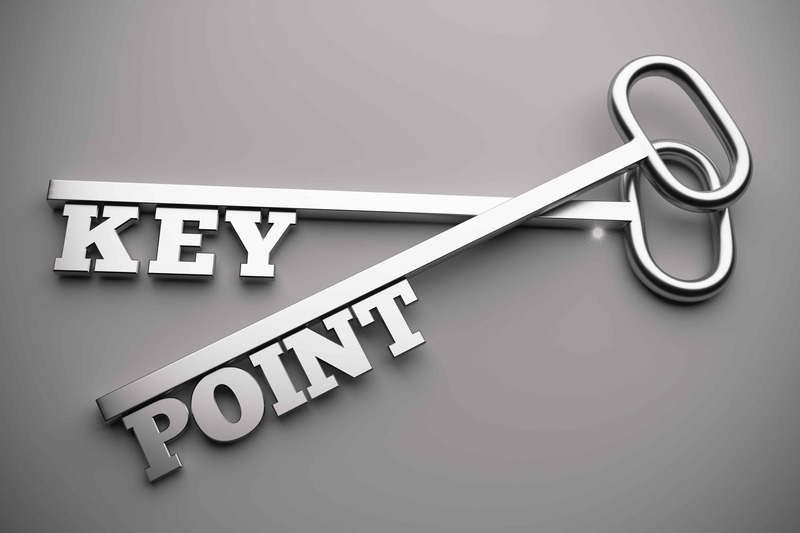 How is the point applied and how should your audience make use of it? What do they need to do? What action are you expecting them to take? What if they don’t take a particular course of action? Do they have the risk contingencies in place to cope? What if they do take a particular course of action and such-and-such happens, e.g. an unwanted result as a consequential outcome? Again, can they deal with that? What if they take your proposed course of action and they gain a specific benefit from it? How does your proposal ensure the benefit will be realised, and negative consequential outcomes will be avoided? This helps to expand your audience’s understanding of the benefits of your services and products. This step takes the audience members’ minds into the space of possibilities, i.e. benefits that will be gained if your services are chosen – and not gained if they are not. Think about possible audience questions in this step because some of them might be based on scenarios to check how you would handle different situations. Your ‘What If?’ material could be a good way of pre-empting those questions. Make sure you have done your homework to demonstrate how your proposal provides the benefits. This step is not about scare tactics – your client will probably not appreciate being discomforted into action – but it is about taking your client’s mind into the space of possibilities, including how your proposal manages risk. When you finish any one of the above four points, move on to any other. If you are visually oriented, imagine those four points as a grid on the floor, and step between the quadrants as you move from one point to the next. This will have the double benefit of helping you visualise your next ‘move’ in the presentation, as well as keeping you mobile on your feet, rather than standing rigidly on one spot. Remember to consider how much the audience already knows about the subject since this will be important when choosing your core theme(s) and the associated points that you make. Avoid telling the audience what they already know, unless you can use the four elements to build on current knowledge to make particular points. This approach is particularly useful when planning for audience questions. 4. What is the clearest way to present information for ease of understanding? Do not let your audience’s questions be the result of unclear or confusing presentation material. Think about the clearest and easiest-understood way of presenting the points you want to make. 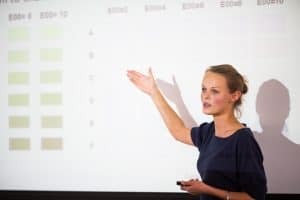 In coaching, we probe the purpose(s) of clients’ presentations to help devise the most appropriate material to include, and the best way to present it. We might work with information designers to develop the best way of representing messages graphically to tell a story. Use large fonts to make slides easy to read. Limit each slide to one or two key points. Use graphics, videos, charts, etc. to enhance messages and make them easier to understand. 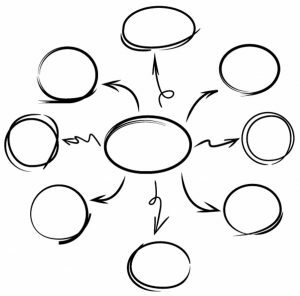 Information design promotes effective understanding of messages by telling a story intuitively. Plan your material to enable you to present at a pace that avoids confusion or leaving anyone behind. Create a presentation plan as part of your preparation, then stick to it. Change it for significant and auditable reasons only. 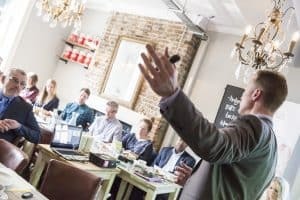 The audience’s questions are more likely to be born out of genuine interest in your services and products – rather than being asked merely as tests – if you present with confidence and conviction. While body language is far from being the only factor that determines the credibility of your messages, it is an important one. A lot of business literature states that 93% of the credibility of our communication comes from our non-verbals – body language (55%) and tone of voice (38%) – based on Albert Mehrabian’s studies published in his 1971 book, Silent Messages. Whatever level of importance you assign to body language, one rule prevails: your verbal communication and your body language have to be consistent. When you make claims about your services, and when you answer audience questions, you have to look like you mean and believe what you are saying. If you adopt a stance that suggests you are ‘on your game’ and confident, your communication is more likely to be perceived as delivered with conviction. This is important when, for example, you present case studies as evidence of your organisation’s past success, or when you present claims that your proposal will achieve certain benefits. Social psychology research shows that we adopt an open stance to show power, confidence and belief, and a closed one when we lack confidence and when we fear something. While our minds control our body language, research shows that the reverse is also true – our stance controls our state of mind. If you want to learn more about this, watch Amy Cuddy’s TED Talk on the subject, which provides fascinating insights relevant for presentations.